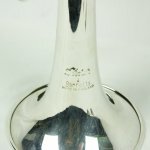 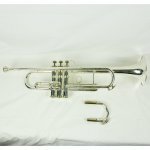 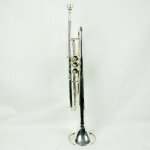 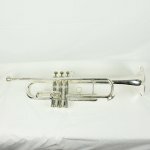 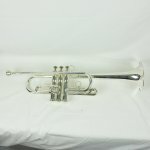 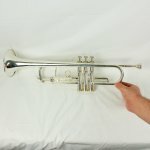 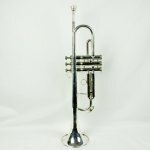 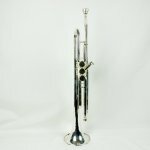 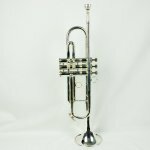 Our Notes: We know very little of the background of this Barratts Soloist Bb trumpet except that it was made in England. 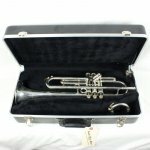 When it came to us we passed it off to our repairman who completely overhauled the instrument. 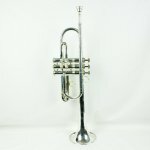 It’s now in excellent shape both cosmetically and functionally. 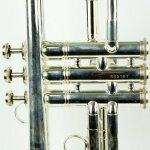 The silver plating is nearly impeccable. 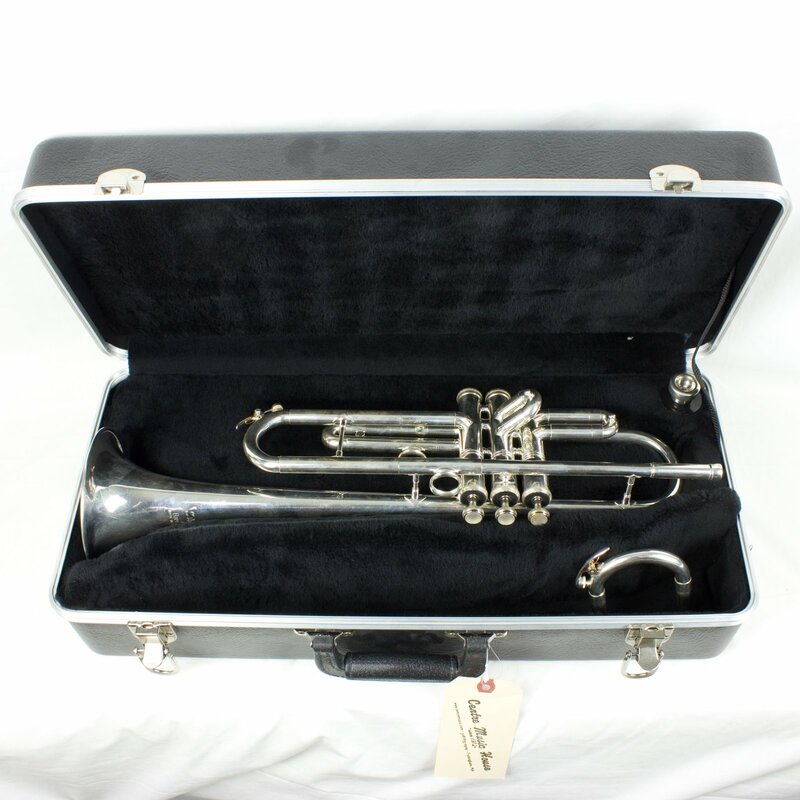 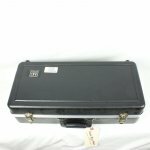 It includes a new case, a Glassl 7C Mouthpiece, and (most curious) an alternate main tuning slide which converts the instrument into the key of C.